I love the verbs in this Psalm. If I took those verbs into my heart, I would have a prayer life that could change the world. come to my relief. . . .
he crushes me to the ground; . . . I ask God to hear, listen & come, while the “enemy” pursues & crushes, but I am busy: remembering, meditating, considering, surrendering and thirsting [desiring] after the things of God: voice, heart, peace, and confidence. If I am to successfully face the trials of life, this must be my mode of operation. There is no trial or circumstance that has not been covered by the promises of God when I am surrendered to God. The deal was struck through the covenant relationship that God has with human. . . . and with me. Trials and disappointments will still be around. In fact, the world pursues us all, through the evil actions of others which cause hurricanes of pain and sorrow. I cannot stop the flood of terror or violence or stupidity fueled by selfish ambitions and delusion. I cannot always understand what drives others. I can only do my part: remember who God is my life; meditate on the presence of Christ’s Spirit within; consider the implications of living a surrendered life; and desiring God’s way and not my own. 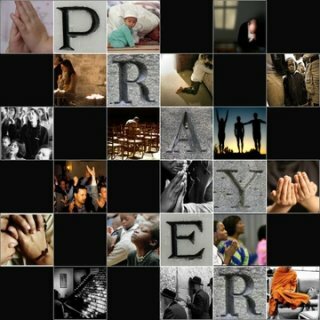 This is what it means to pray.